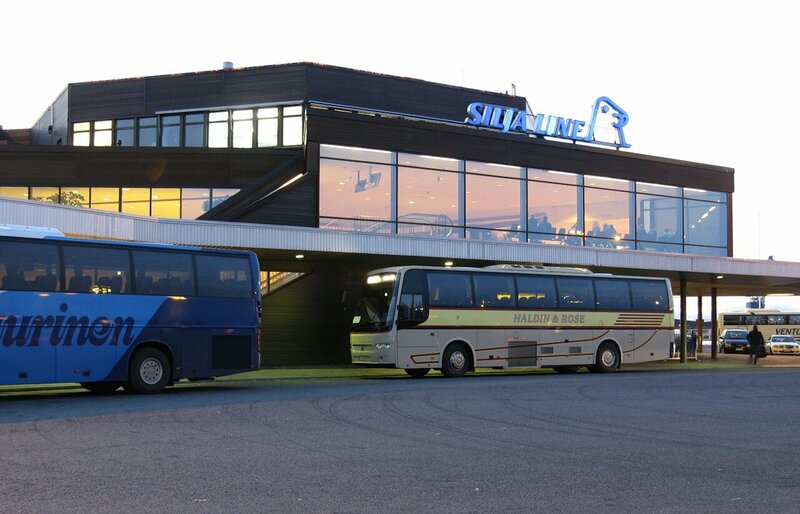 After passing the Russian border and two hours of driving along the picturesque landscapes of autumn Finland, our bus goes to the outskirts of Helsinki. 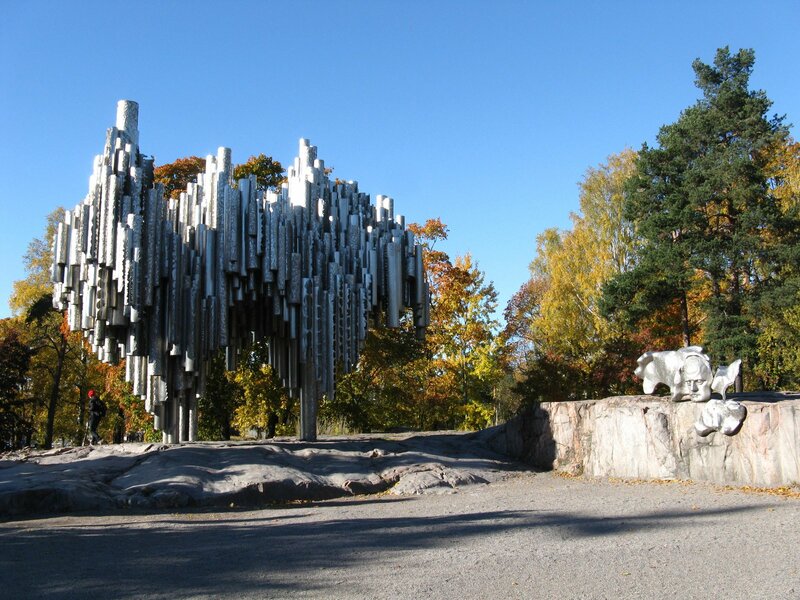 The first short stop at the monument to the composer Jean Sibelius. 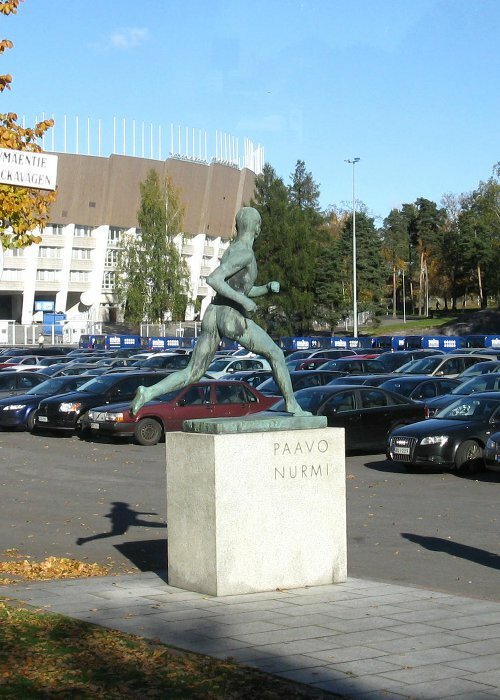 More details about this monument I get during my next visit to Helsinki. 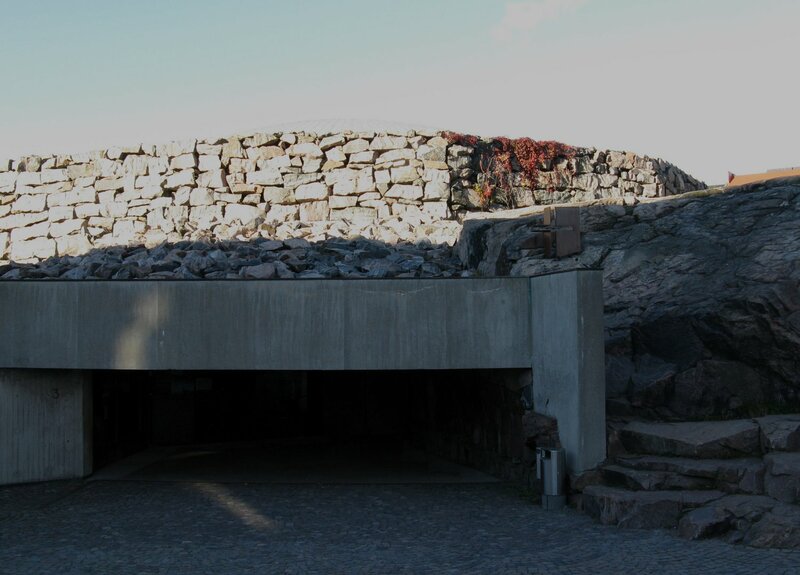 The Sibelius Park is located on bank of Seurasaarenselkä gulf. 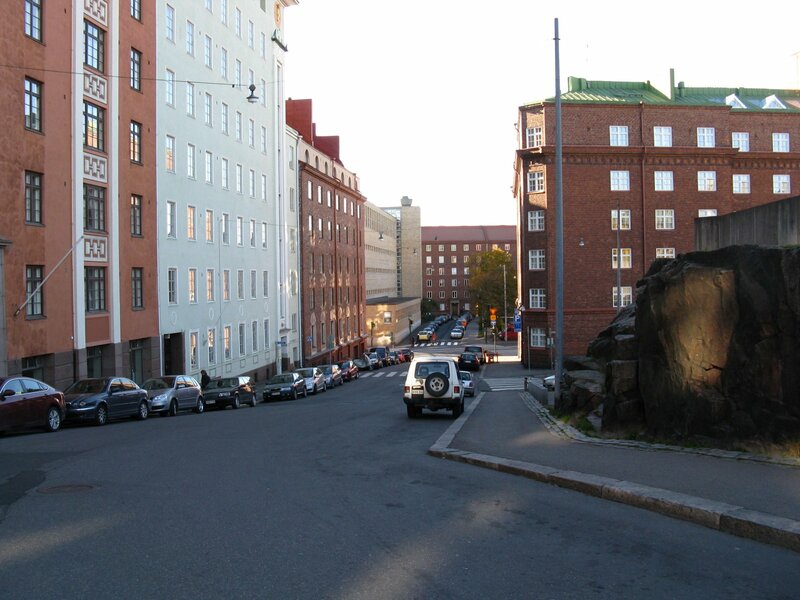 Then we go to the city center, on Lutheran street (Lutherinkatu). 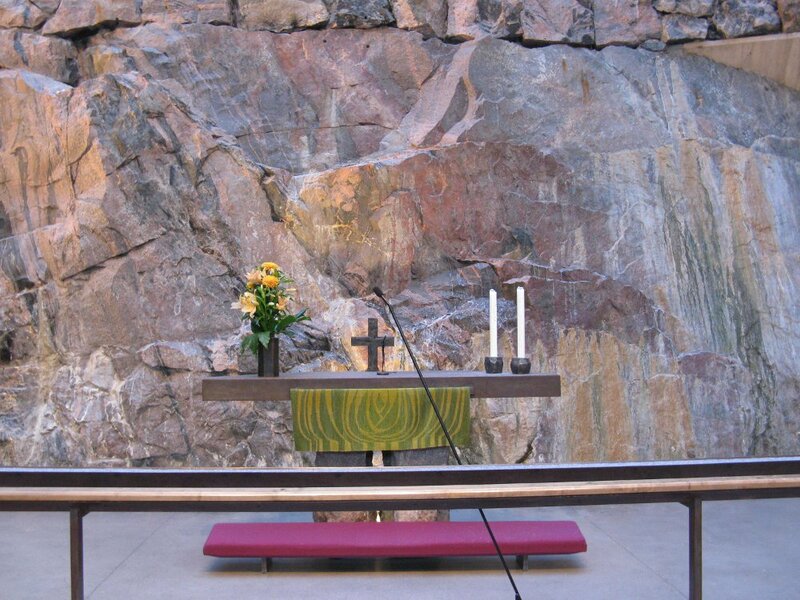 Here is the next important object - the Church in the rock Temppeliaukio. 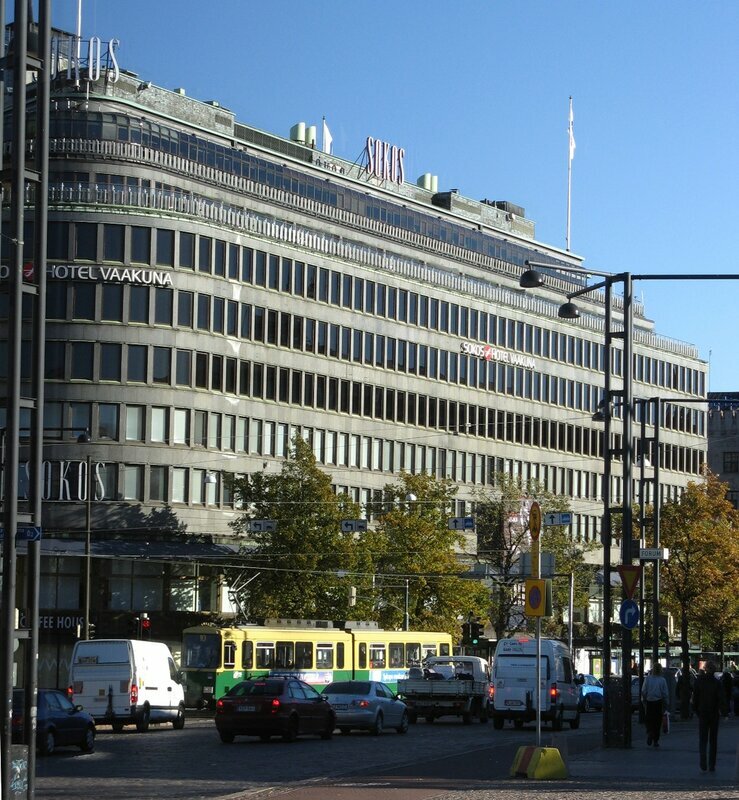 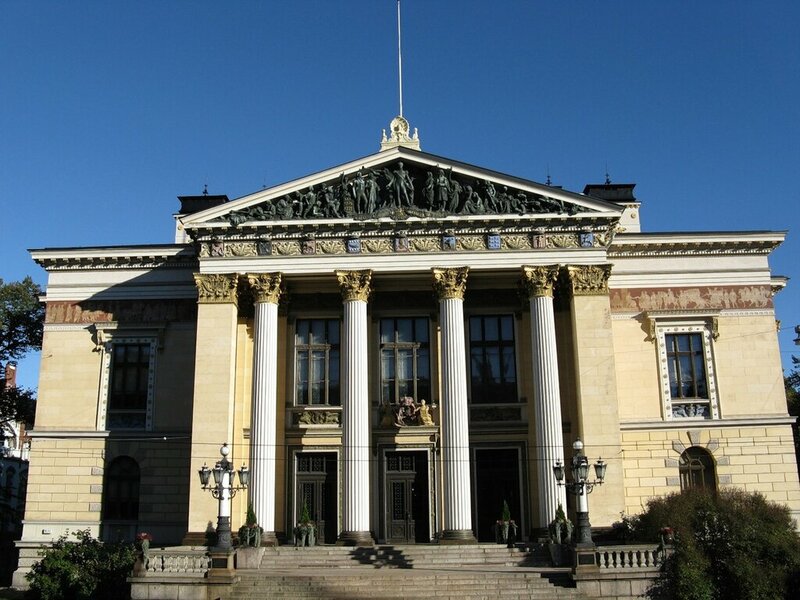 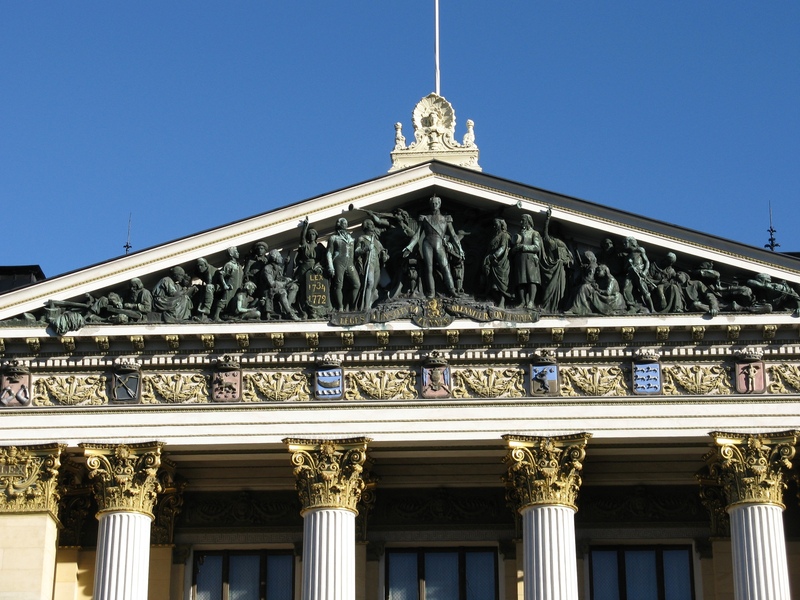 This unique building is included in the route of any tour of Helsinki. Opposite the main entrance to the church begins Fredrikinkatu boulevard. 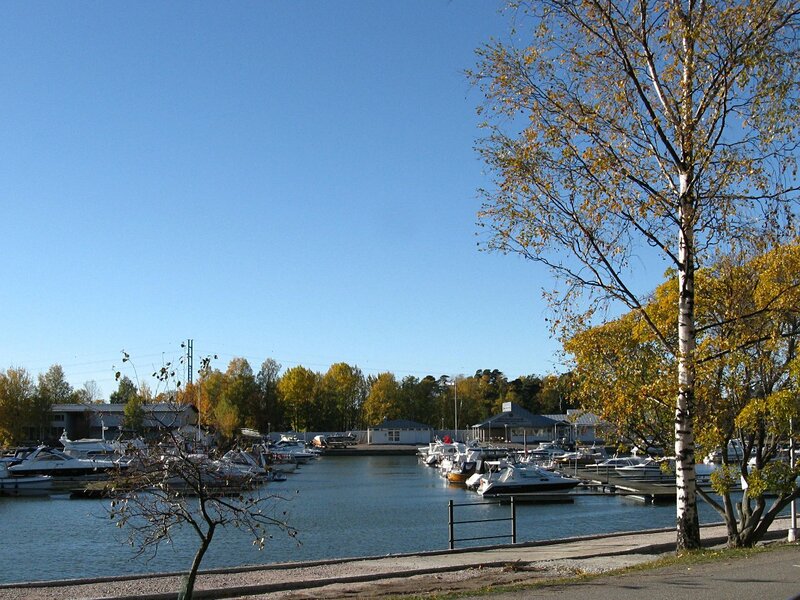 Along it there are several souvenir shops. 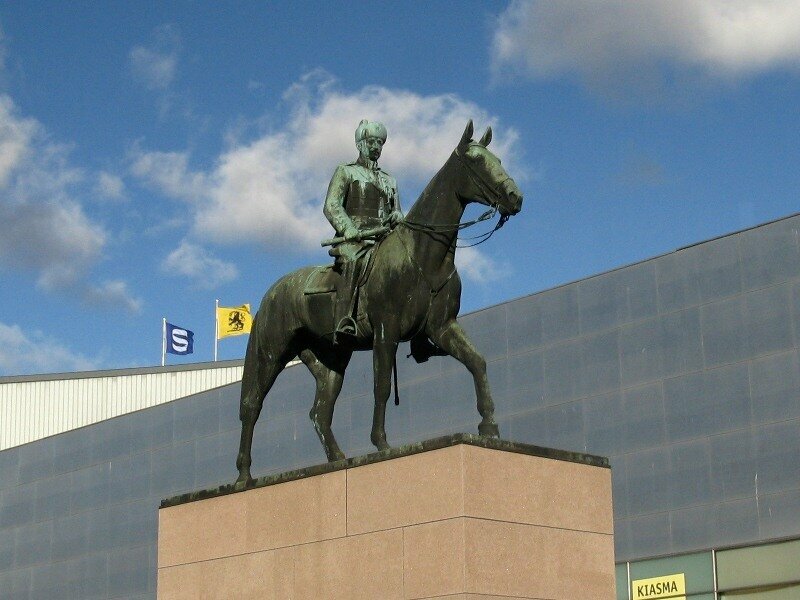 We pass through Mannerheim square, where a monument to the founder of the Finnish state. 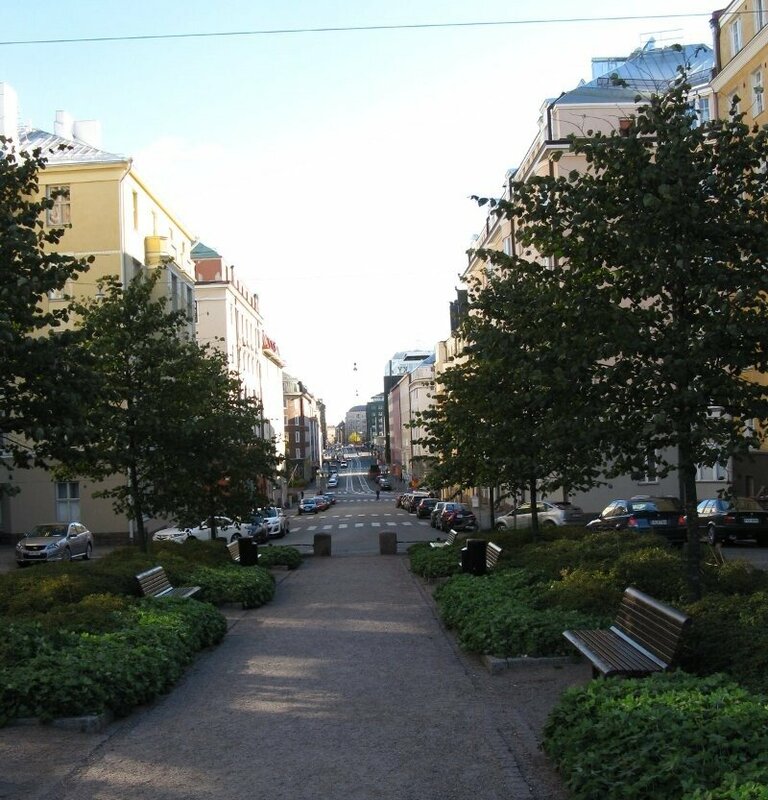 Mannerheimintie avenue. 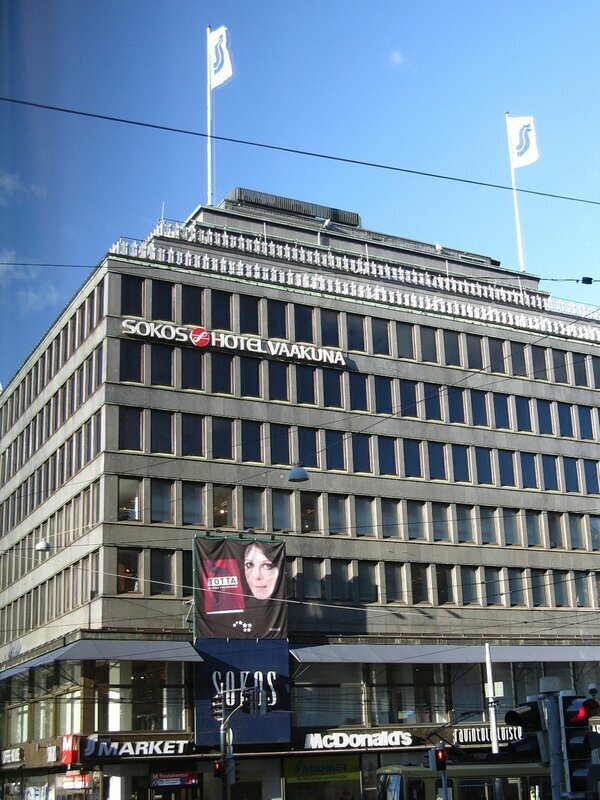 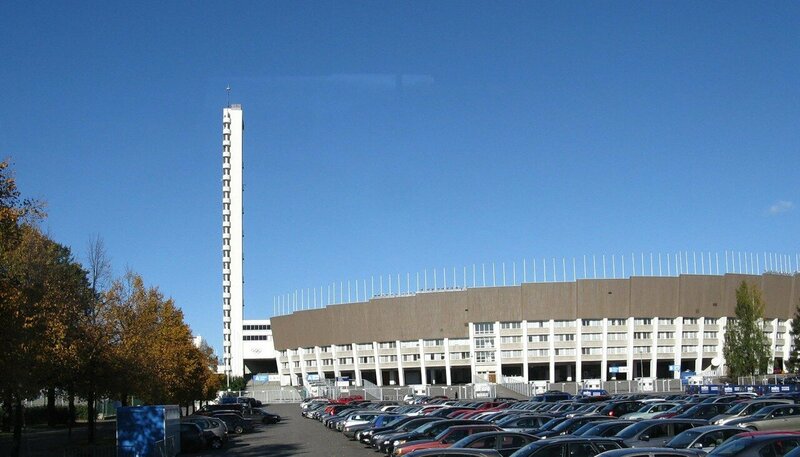 The Sokos Shopping center, one of the largest commercial buildings in Scandinavia, made in the style of Northern European rationalism. 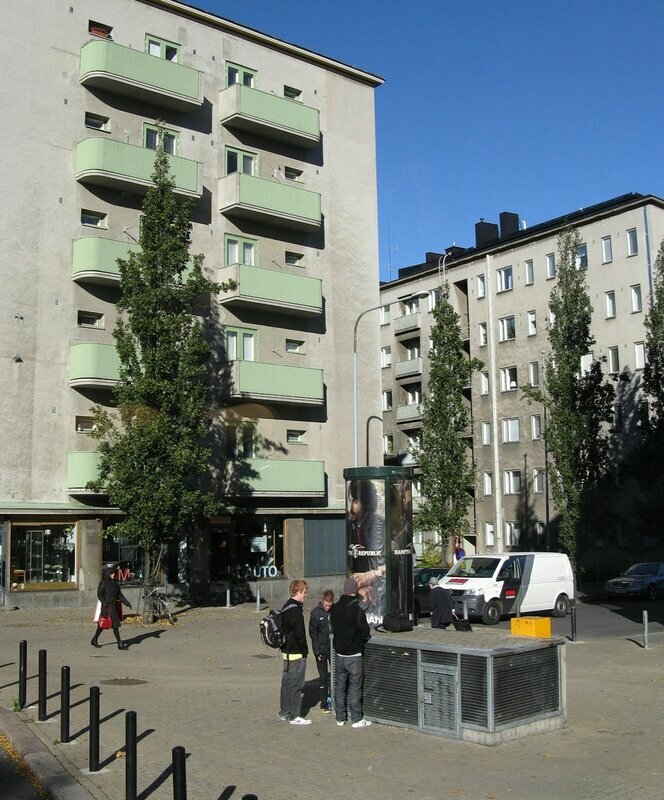 Vaakuna hotel is located in the same building. 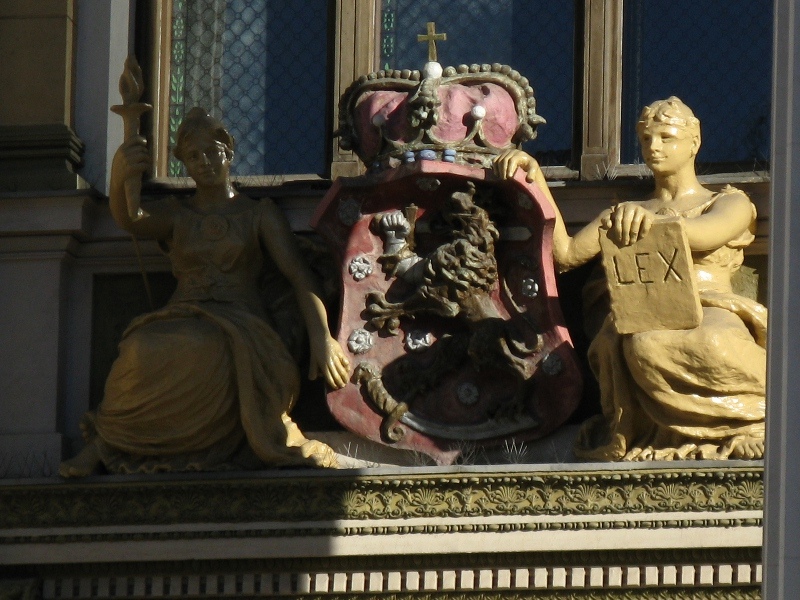 The house of the Estates. 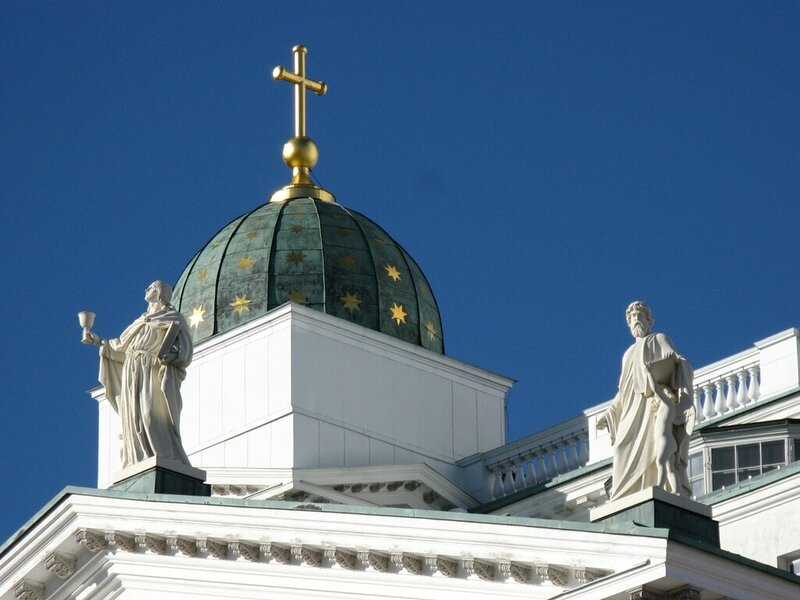 A short walk through the Senate square with the Cathedral and the monument to Alexander II. 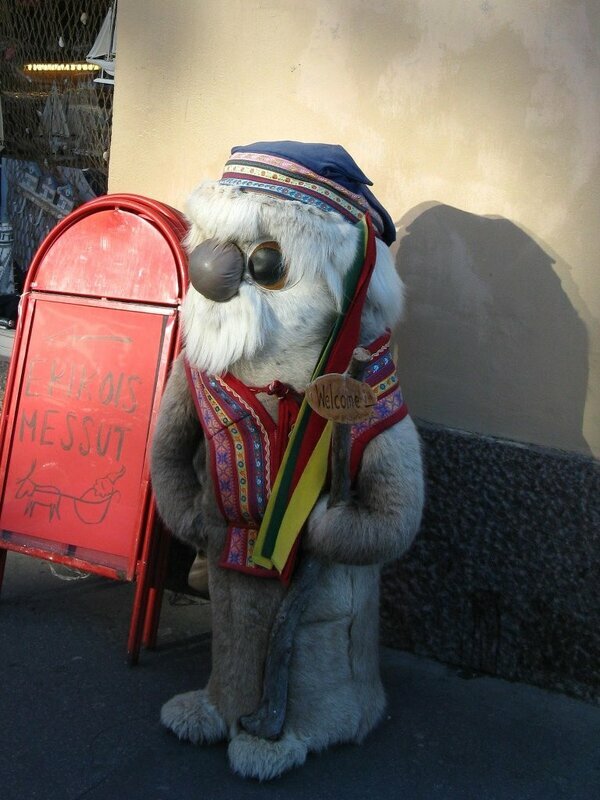 This autumn the square is decorated with the exhibition of the Buddy bears. 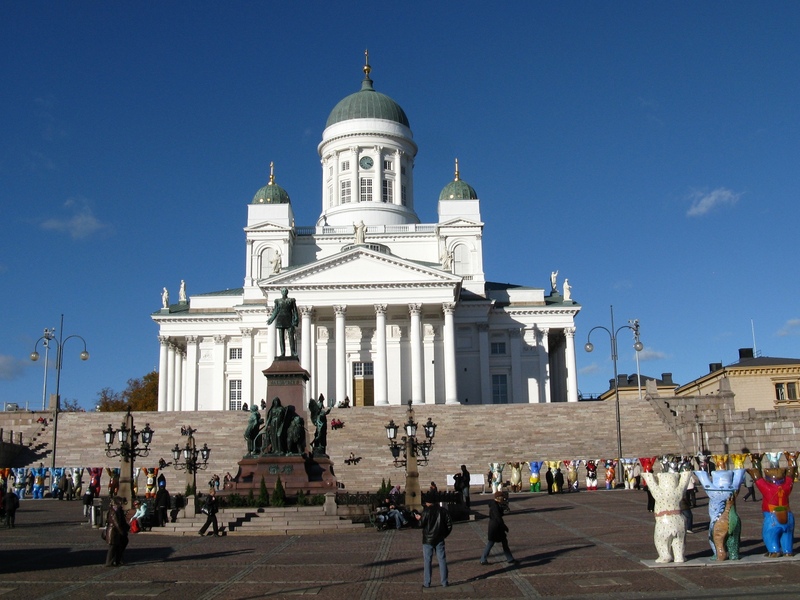 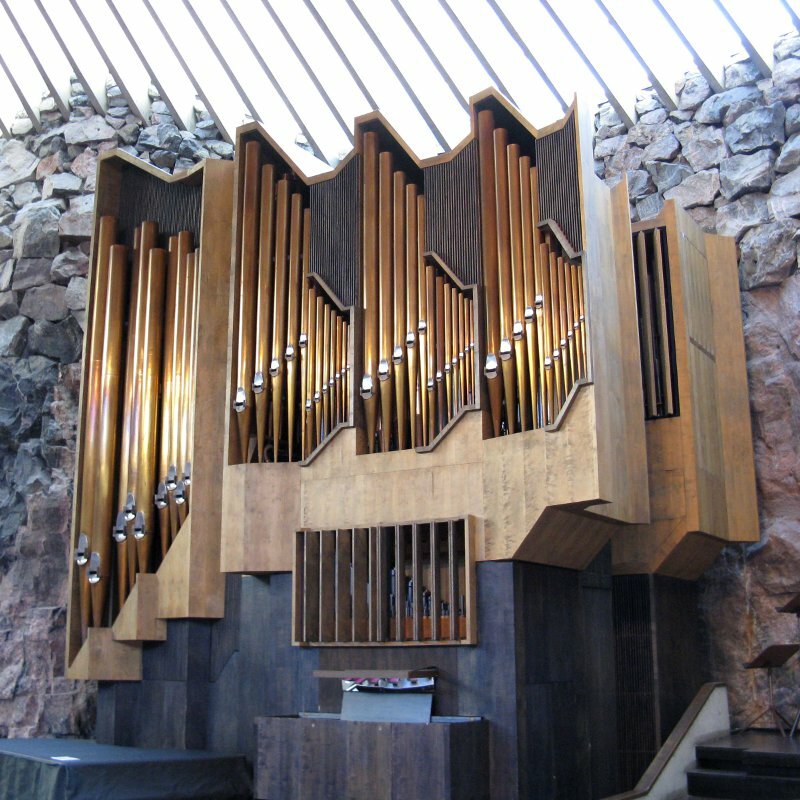 Cathedral, the largest Church in Finland. 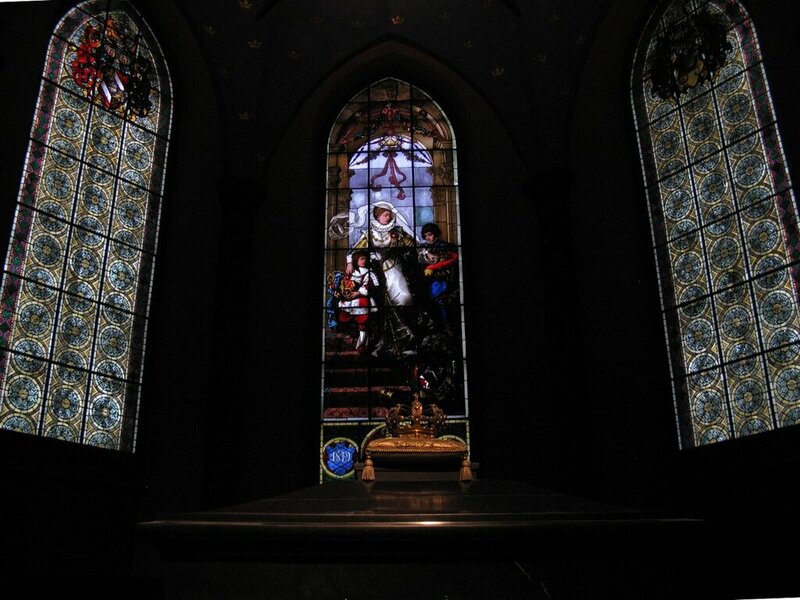 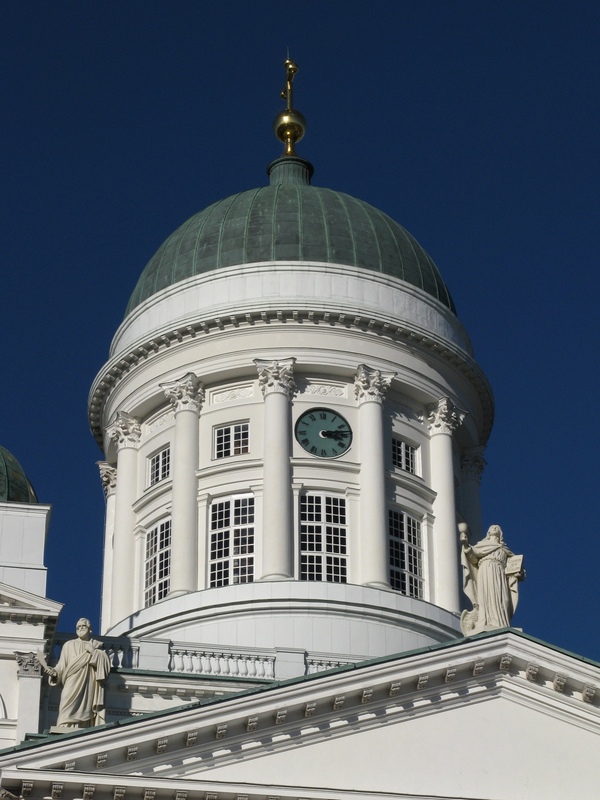 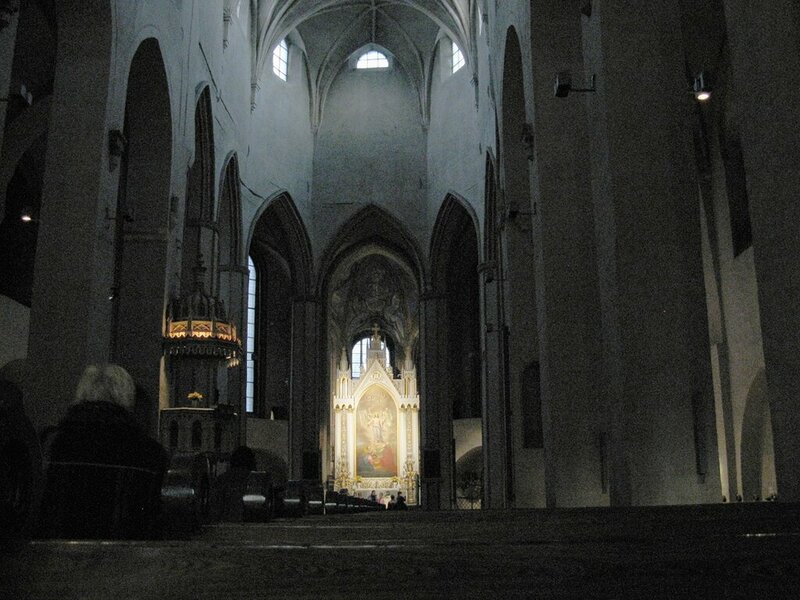 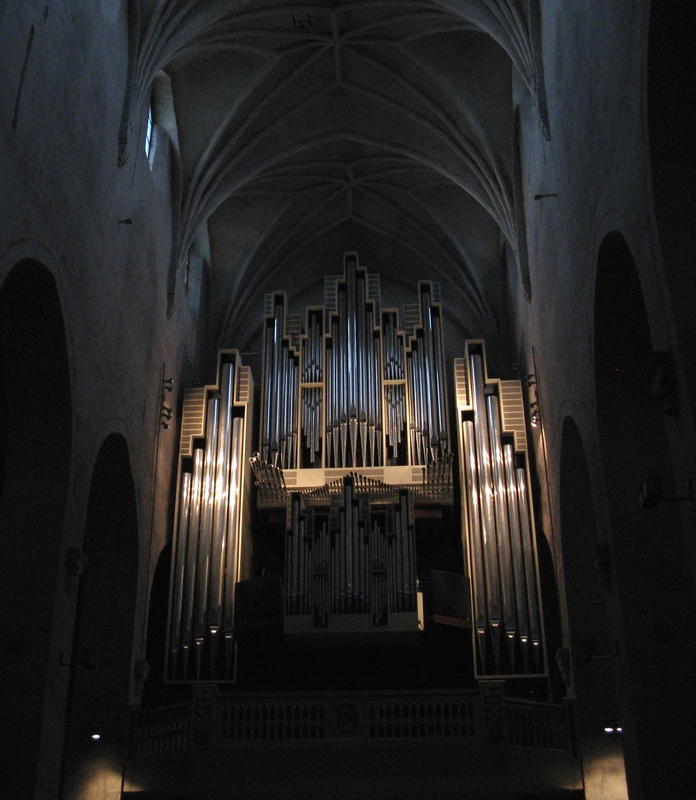 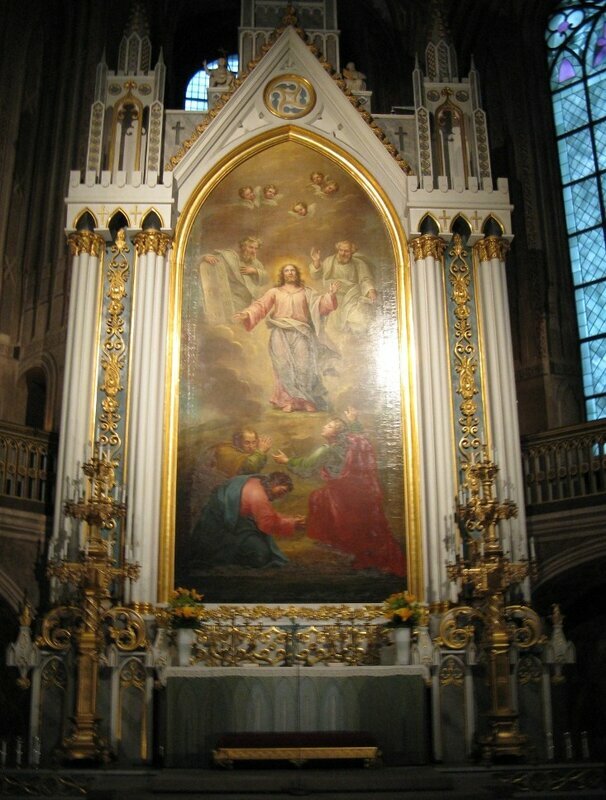 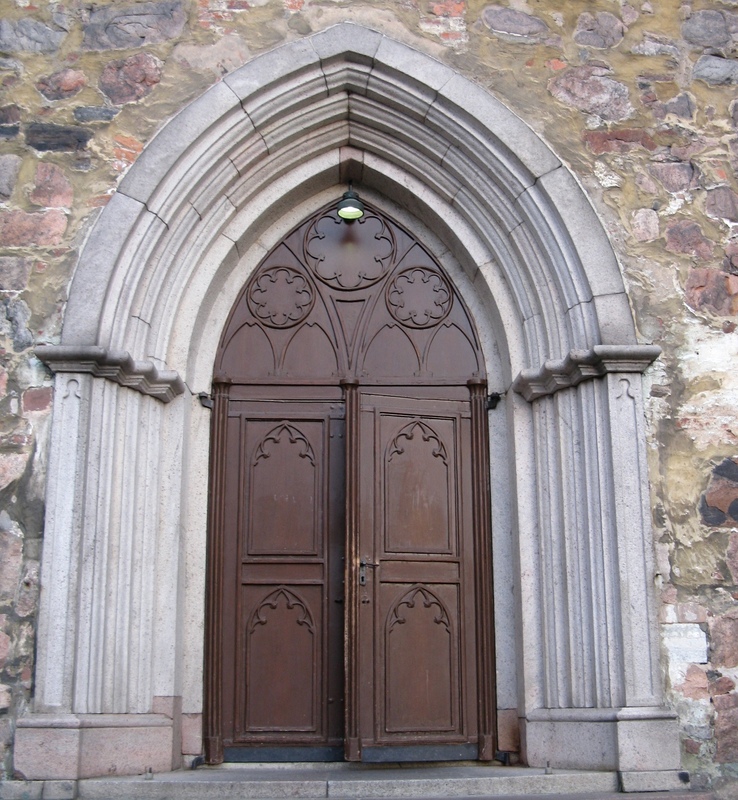 more about the Helsingin Cathedral. 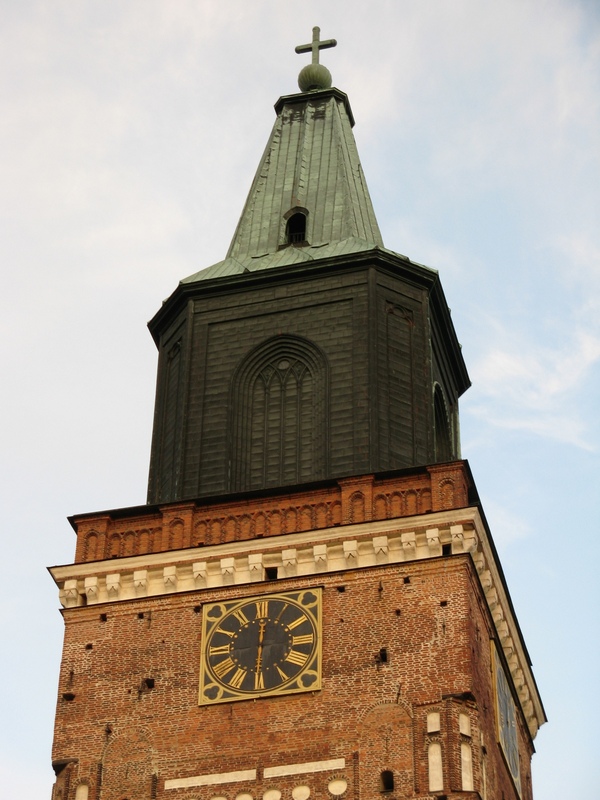 Finally, we pass through the Market square, located on the shore of the southern Bay. 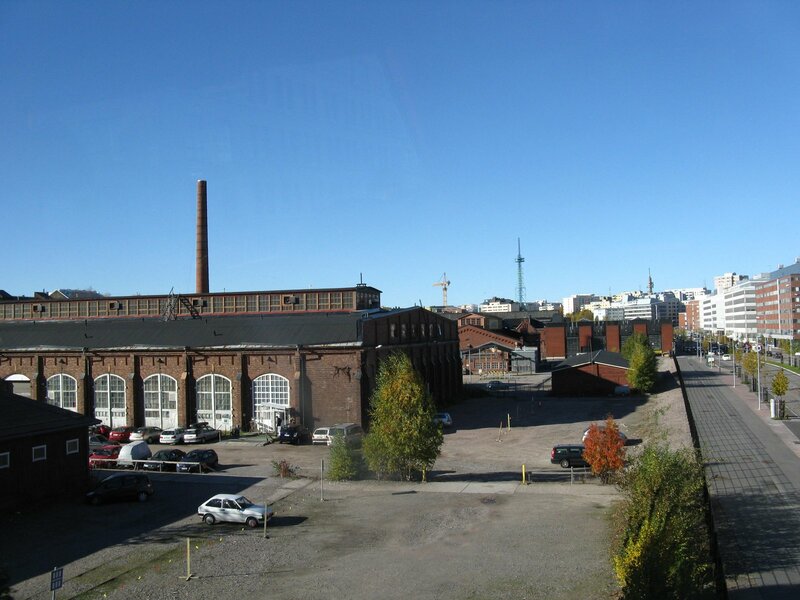 Then we go to Turku. 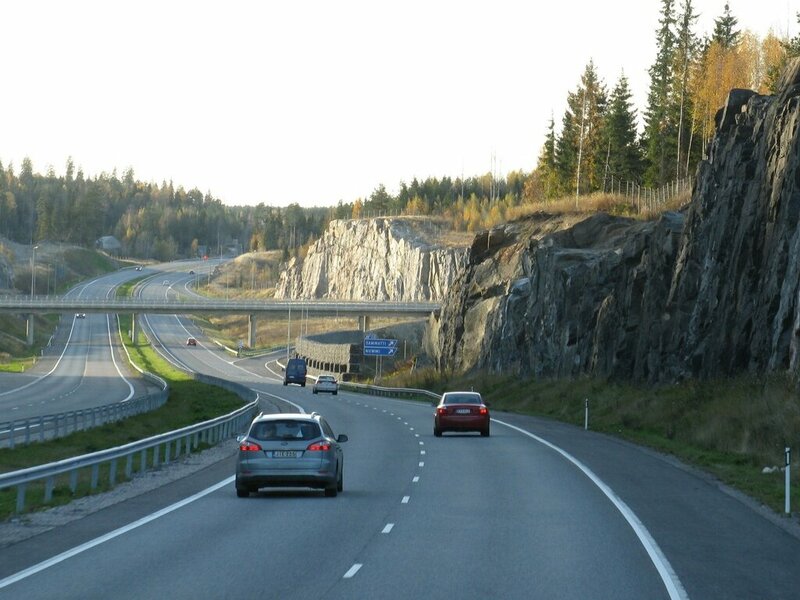 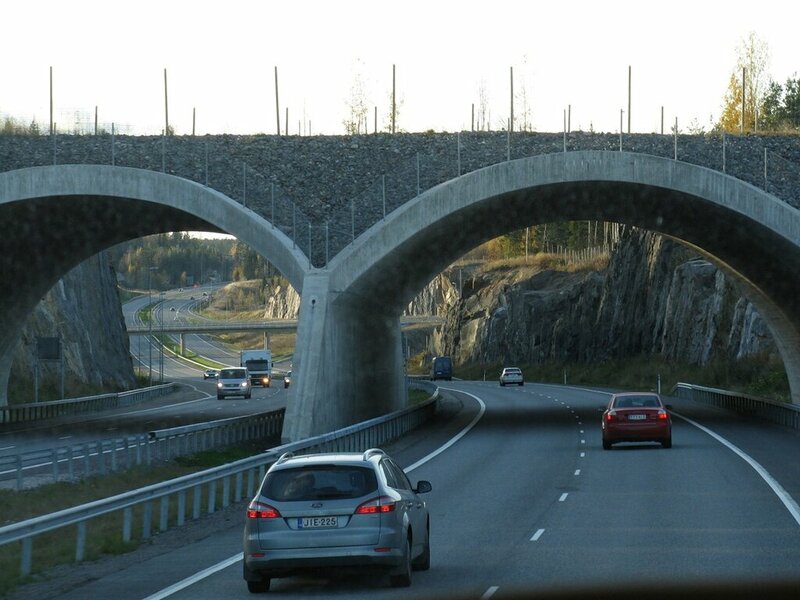 The Finnish section of the European highway E18 is replete with tunnels and bridges. 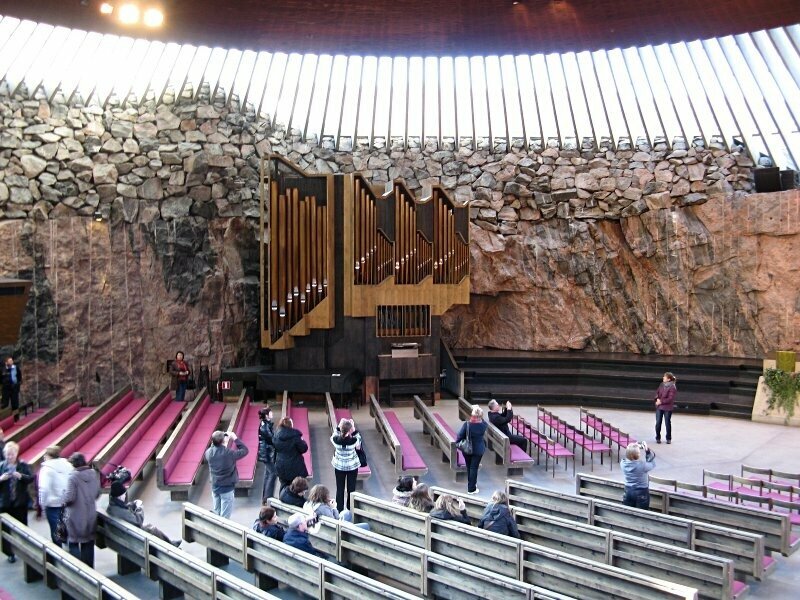 Picturesque look recesses with steep rocky walls, decorated with bright autumn forest. 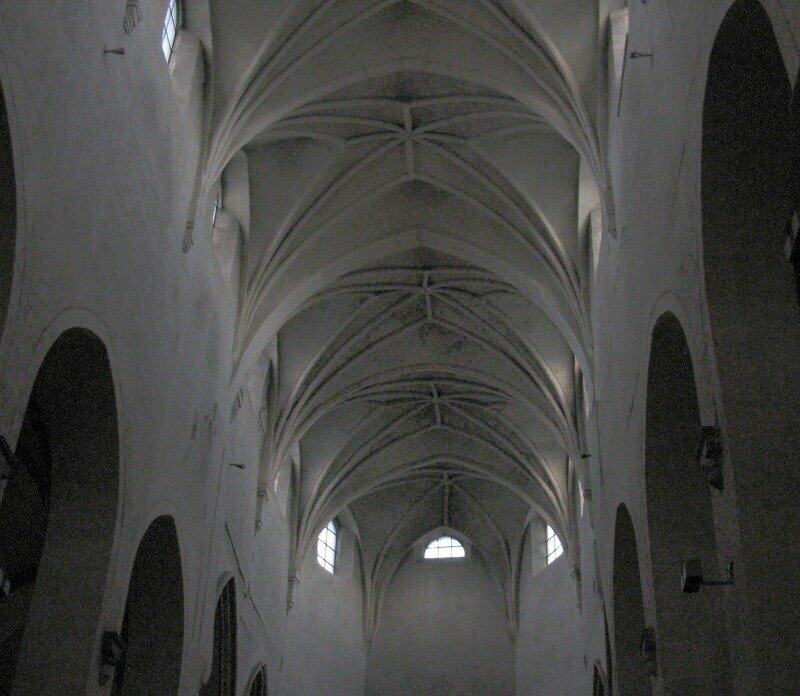 Large stopping complex. 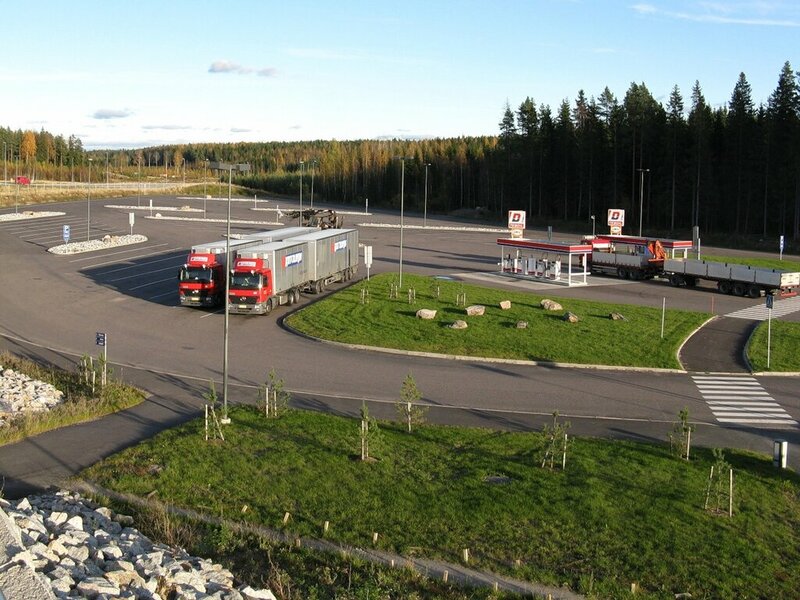 There is a large Parking lot, gas station, shop, cafe, hotel. 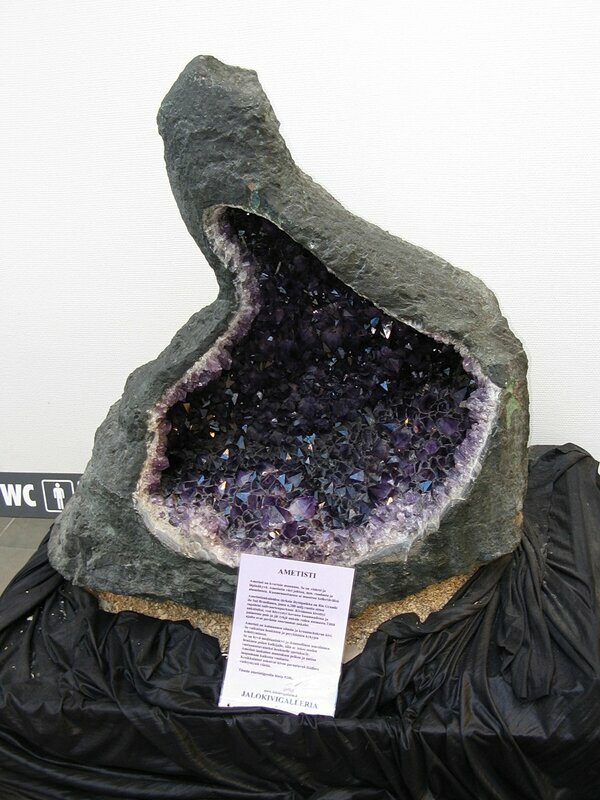 In the foyer attracts the attention of a large piece of rock with a shell covered with amethyst crystals. 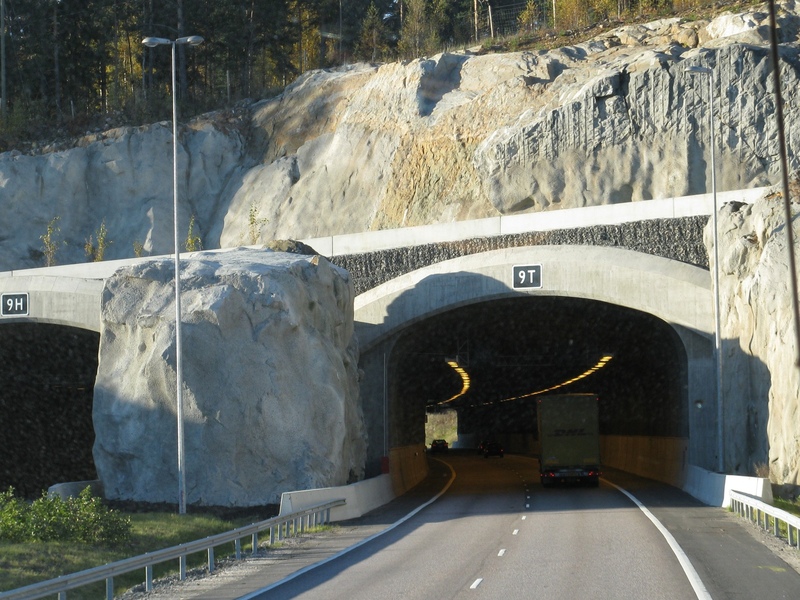 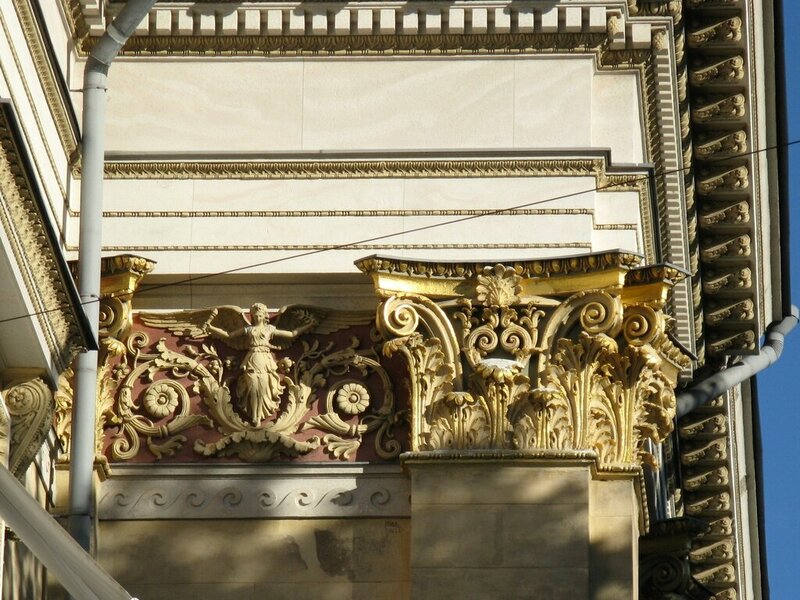 This natural wonder was discovered during the construction of the complex. Turku, the oldest city in Finland and the main city of the Finnish province in Sweden. 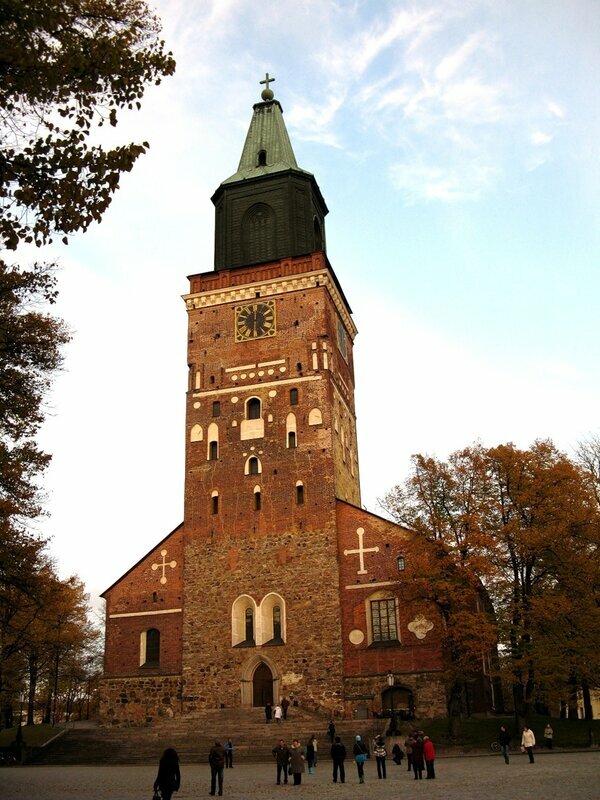 Turku Cathedral-the main Lutheran temple in Finland, founded in 1258. 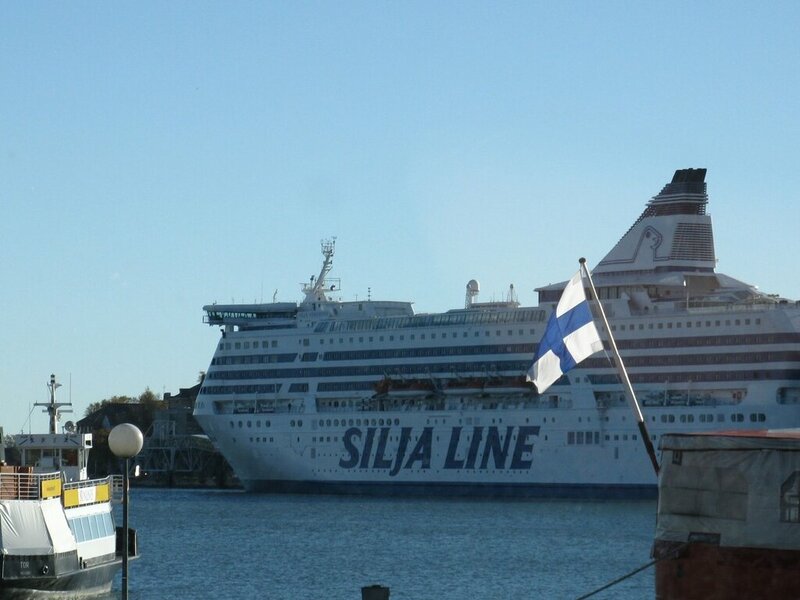 The first short acquaintance with Finland ends in the port, at the Silja terminal, where we will take the ferry "Europe" line Turku-Stockholm.